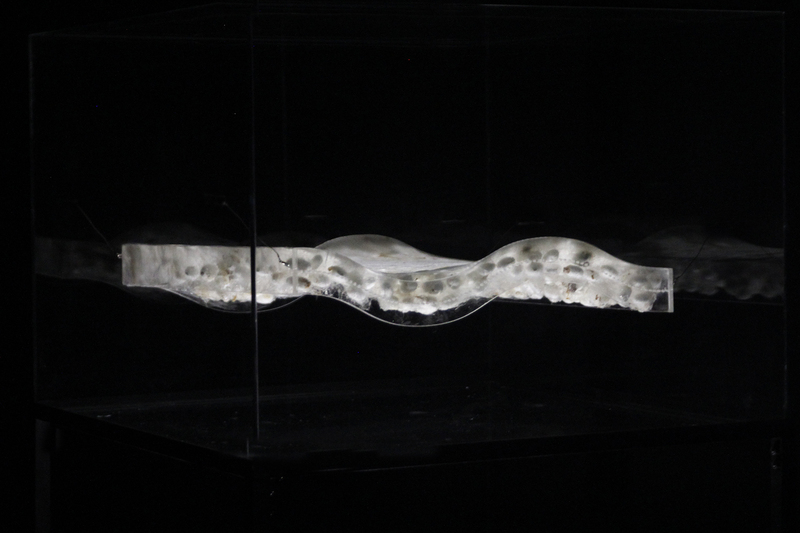 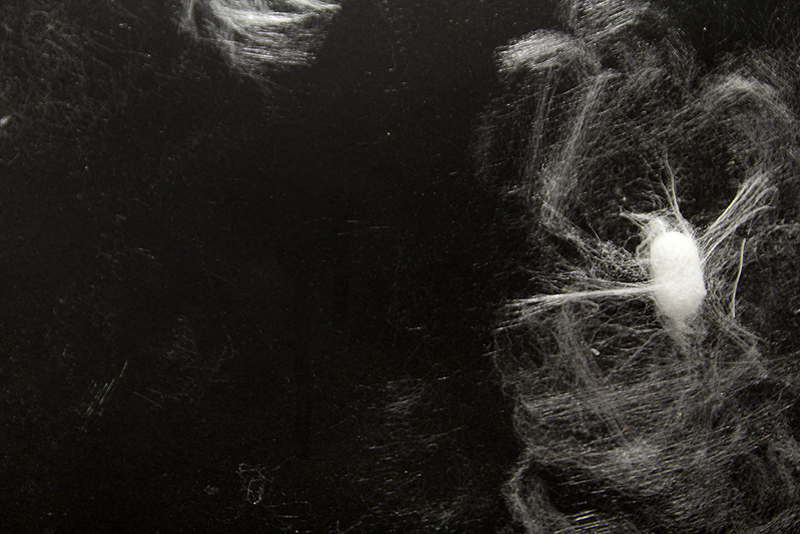 Wave is an installation composed by a 3D prototype of a sound wave sculpted in silk by a swarm of Bombyx mori silkworms along with the sonification and visualization of this process. 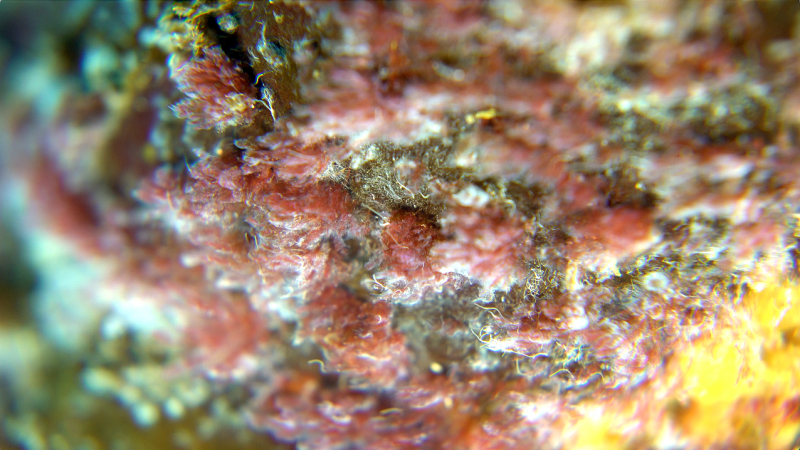 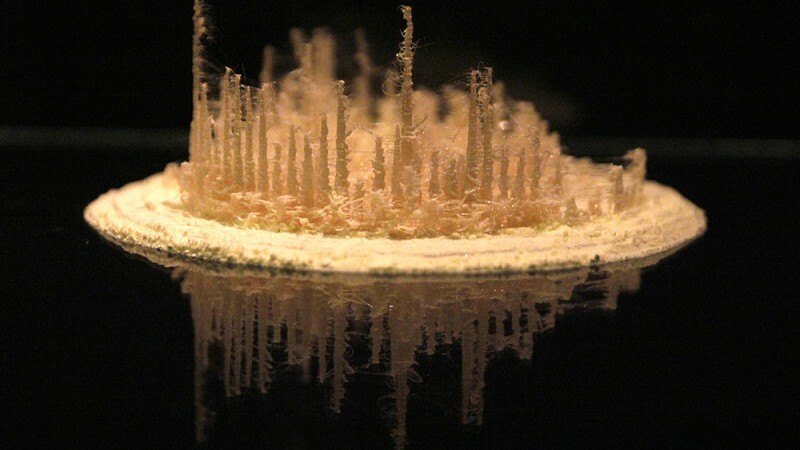 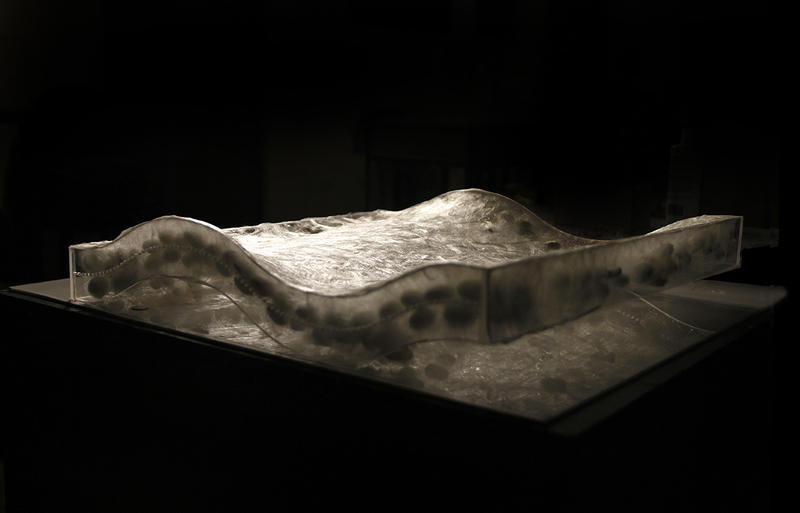 The idea of organic 3D printing is introduced as part of this hybrid process of construction. 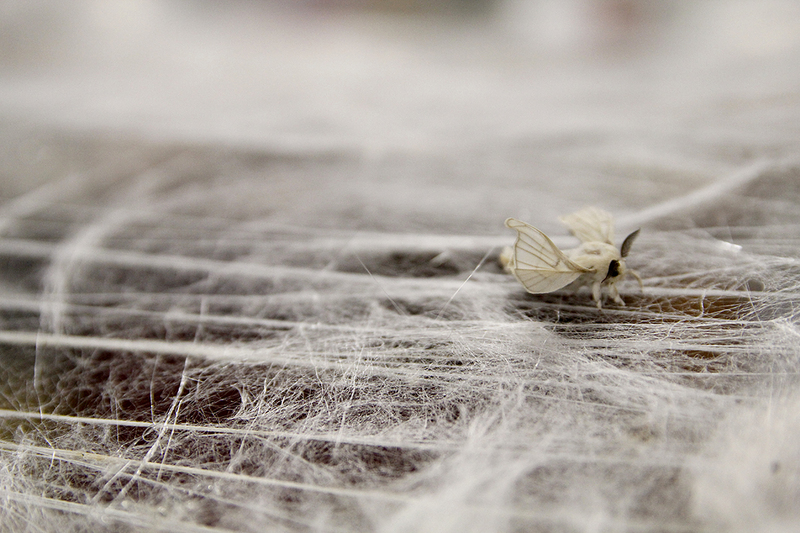 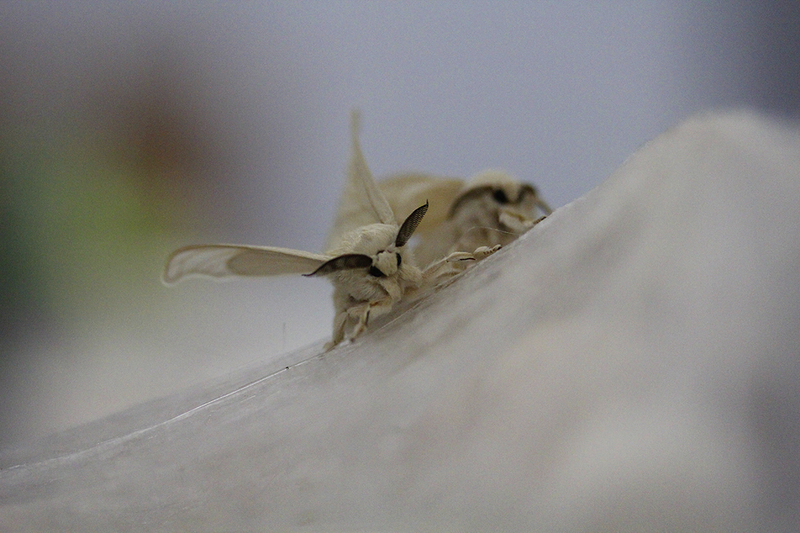 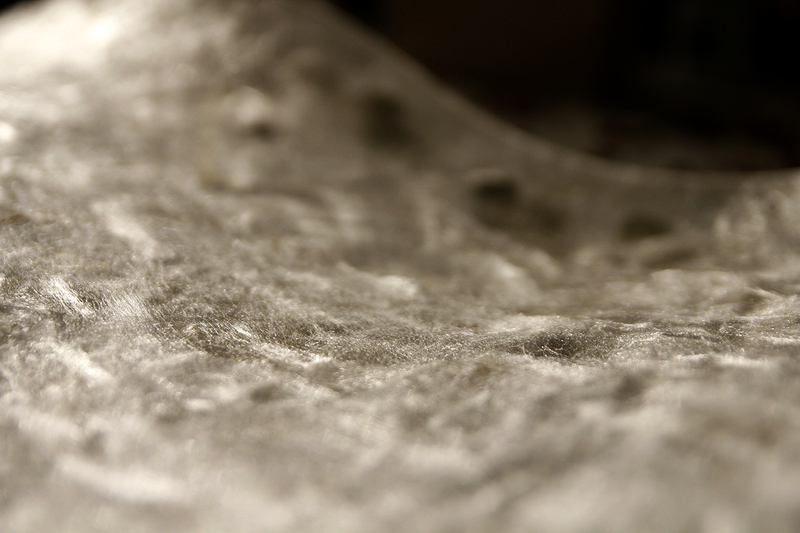 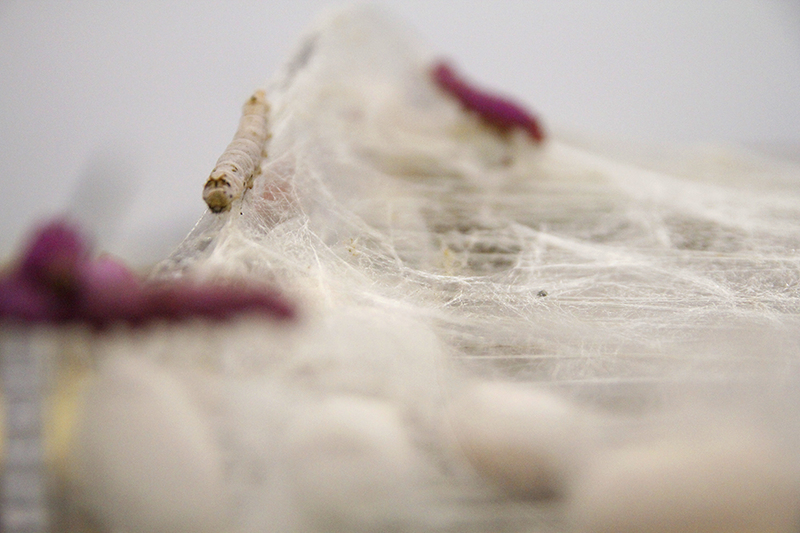 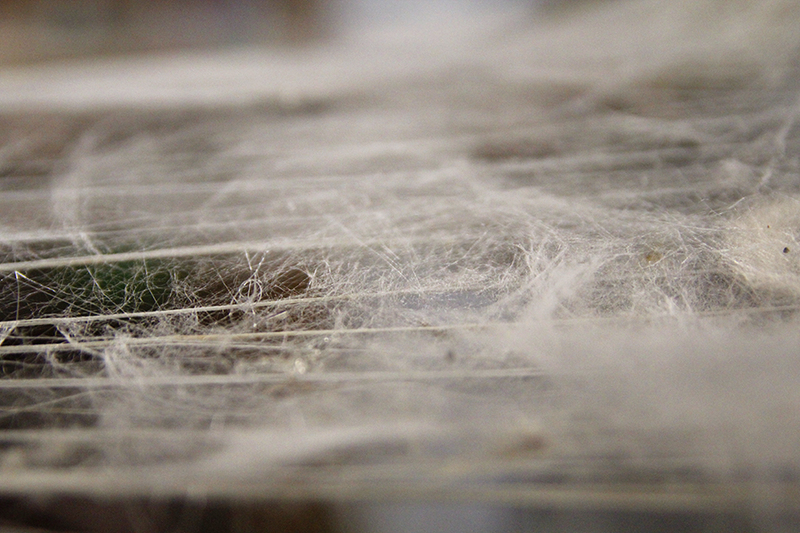 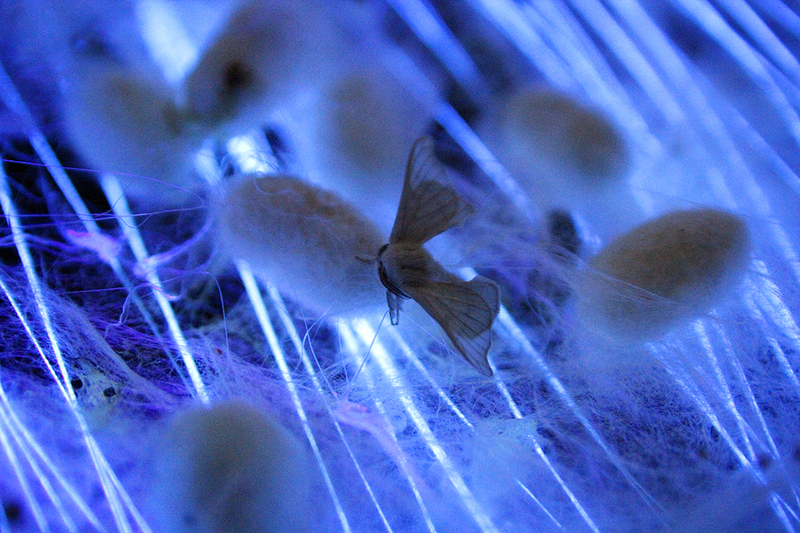 Bombyx mori is a species of silkworms genetically-engineered to achieve a number of labors within the textile industry  as well as in the field of design . 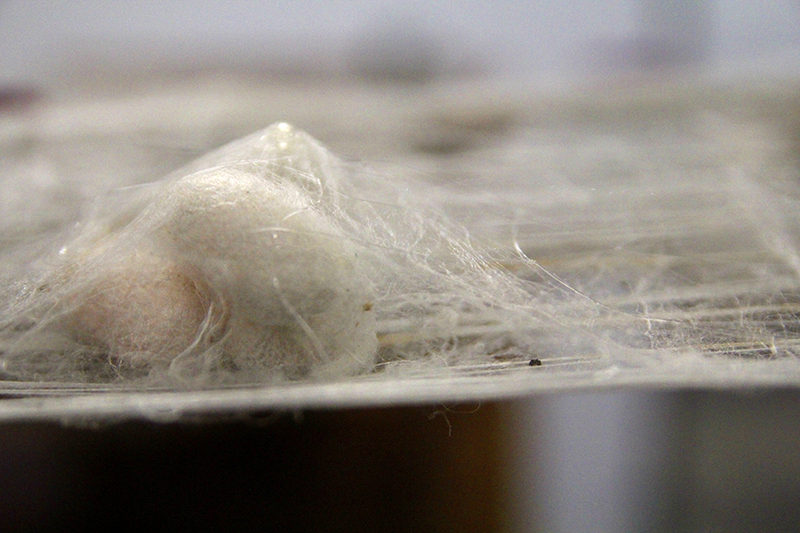 By using their capabilities as a multi-axis 3D printer, it is viable to obtain patches of silk instead of only cocoons during their weaving process. 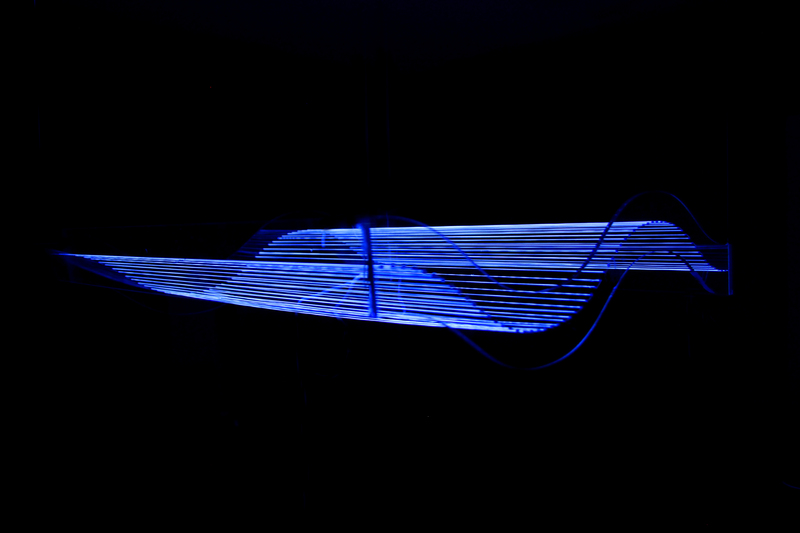 Wave explores critically this procedure by situating a reactive color tracking system in a synthetic environment, in order to shape glitchy hybrid sculptures. 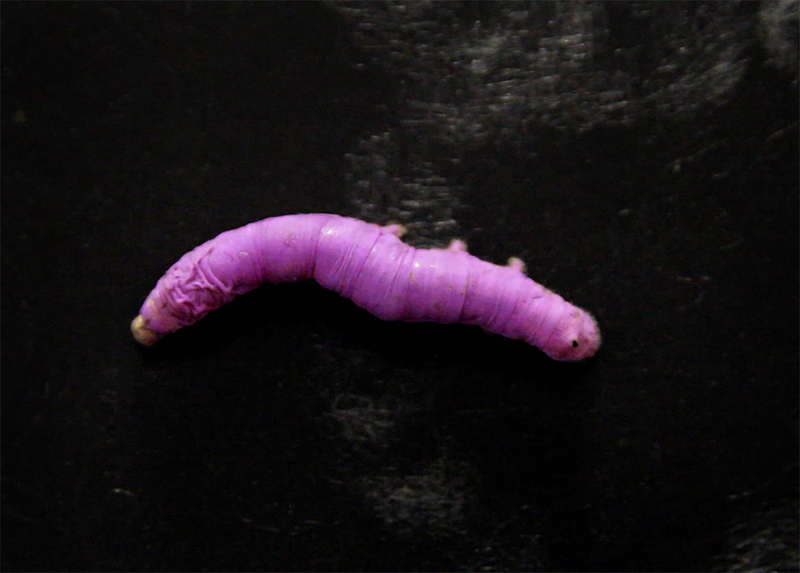 It also reflects on how genetically-modified organisms (GMOs) constantly redefines social perception of artificial entities and transform our embodied relationship with nature itself. 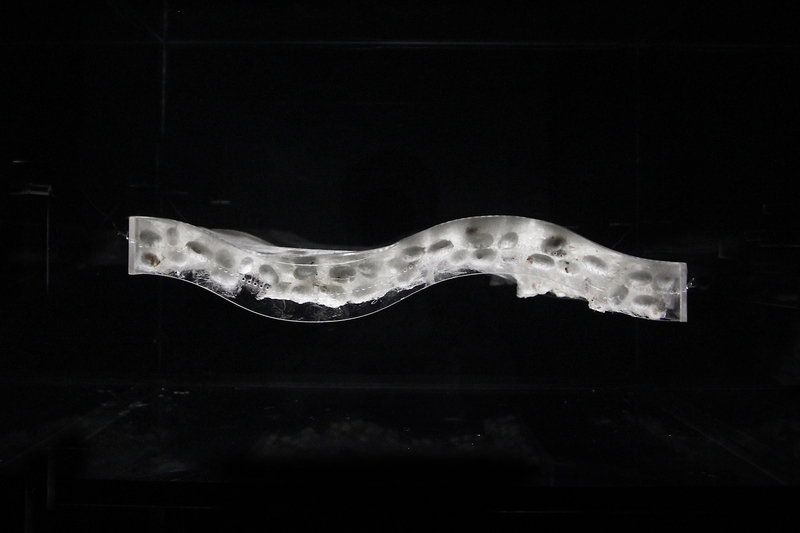 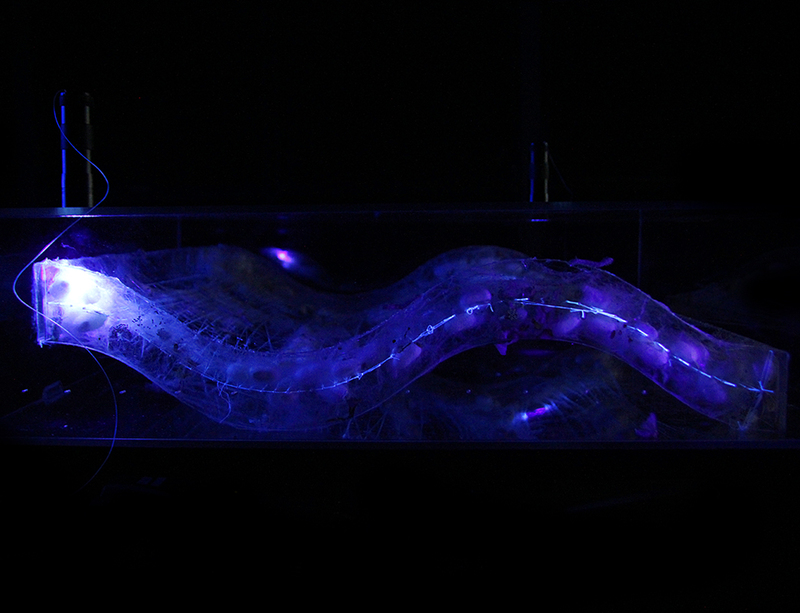 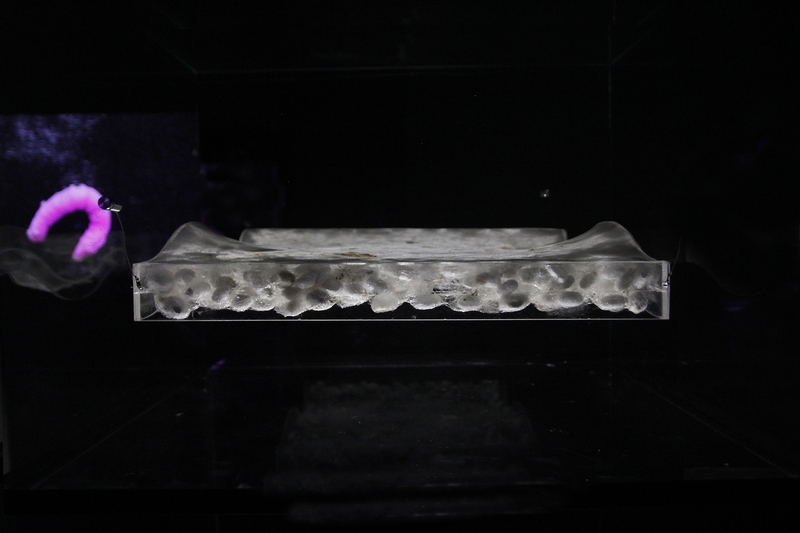 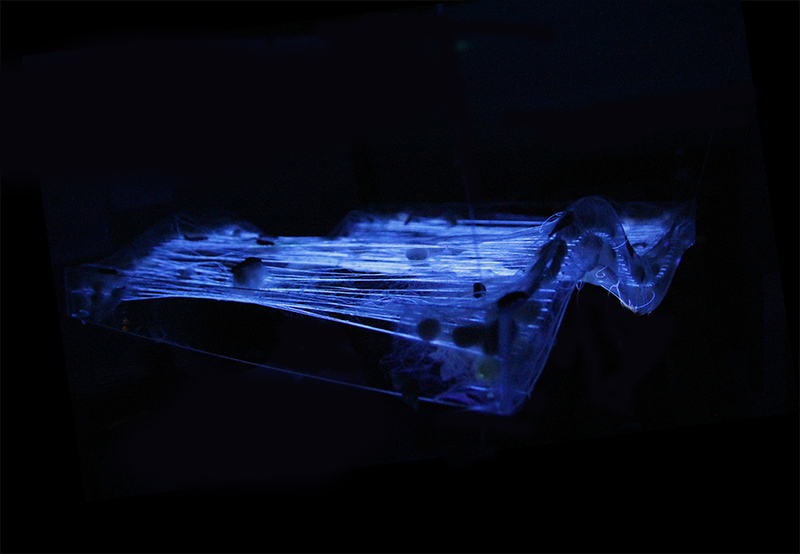 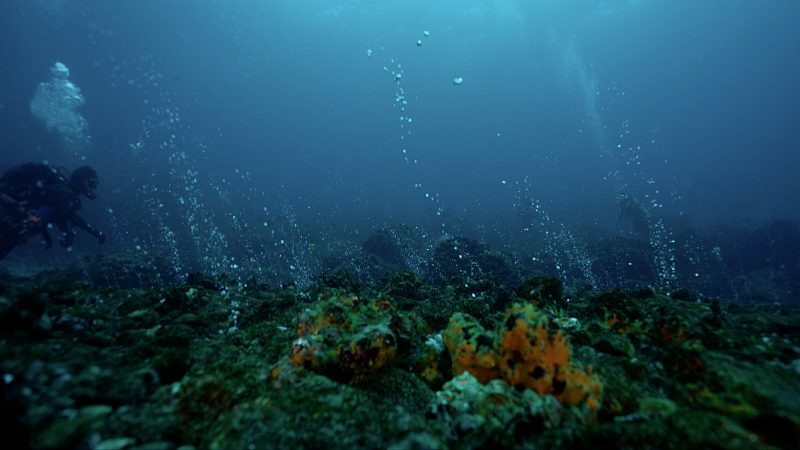 Wave is part of an ongoing research project that focuses on mutualism and interspecies collaborations to generate artificial ecosystems based on the idea of post-humanism. 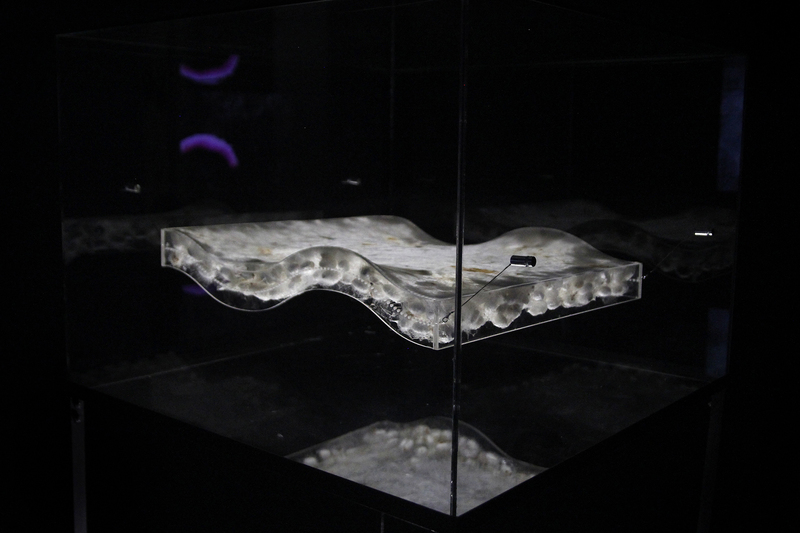 This artifact/habitat hybridizes digital and biological fabrication not as a metaphor but as a way of rethinking phenomenological experiences. 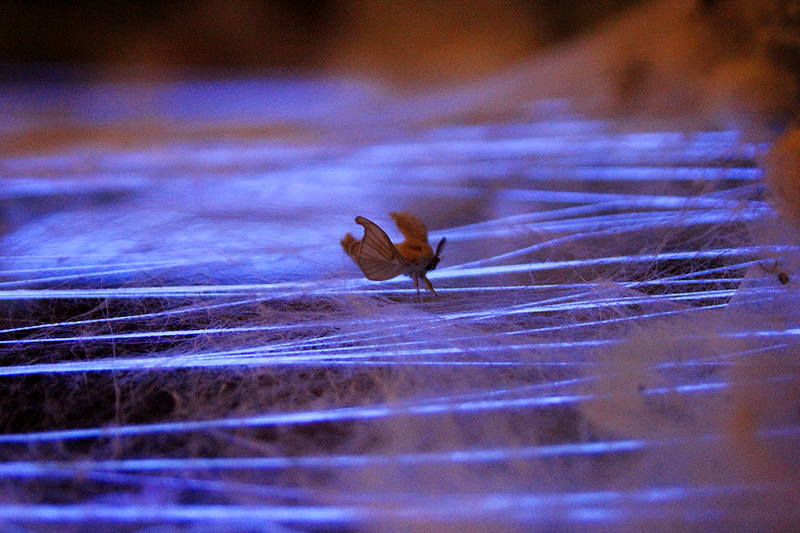 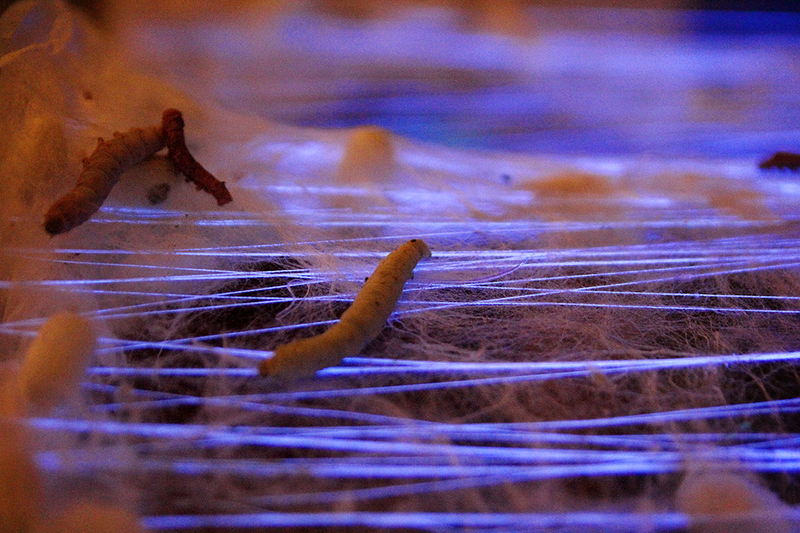 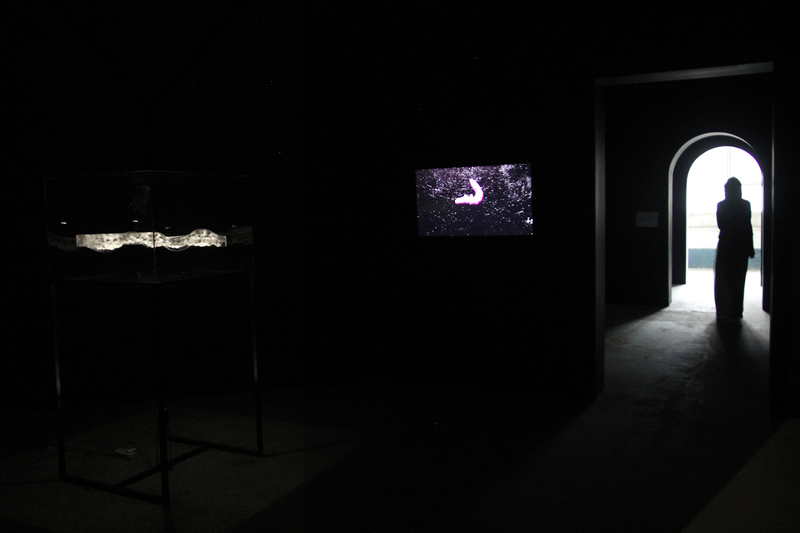 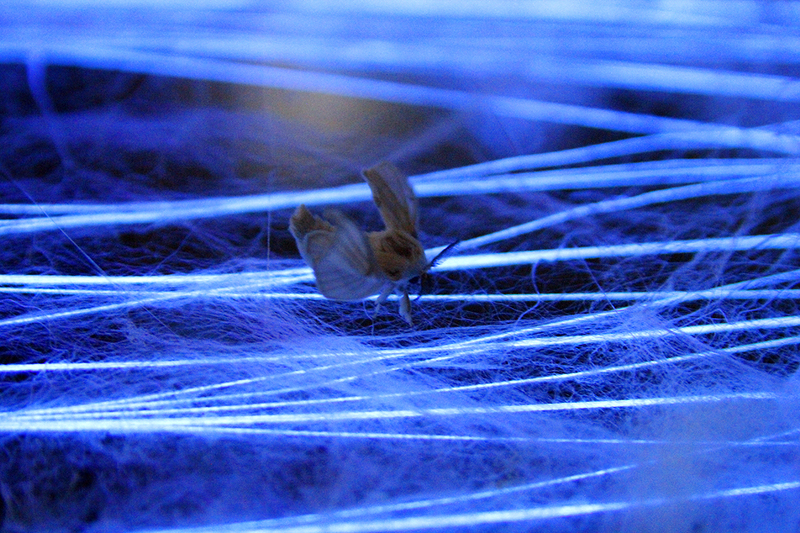 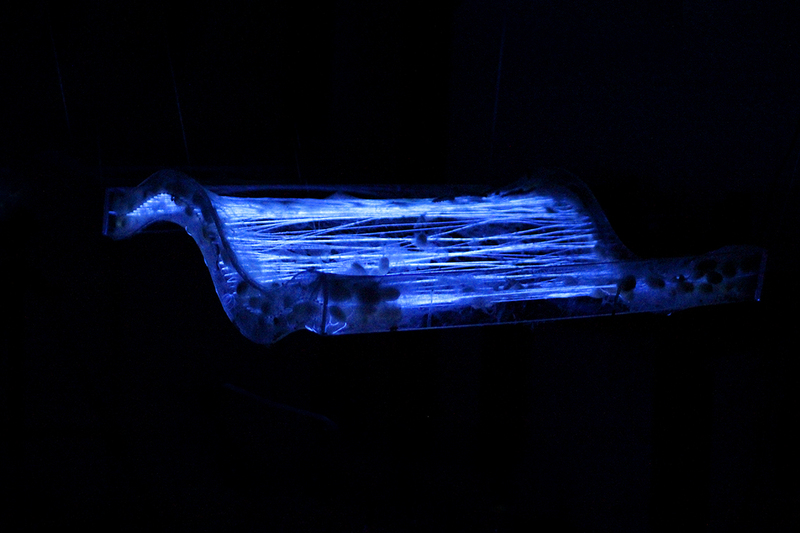 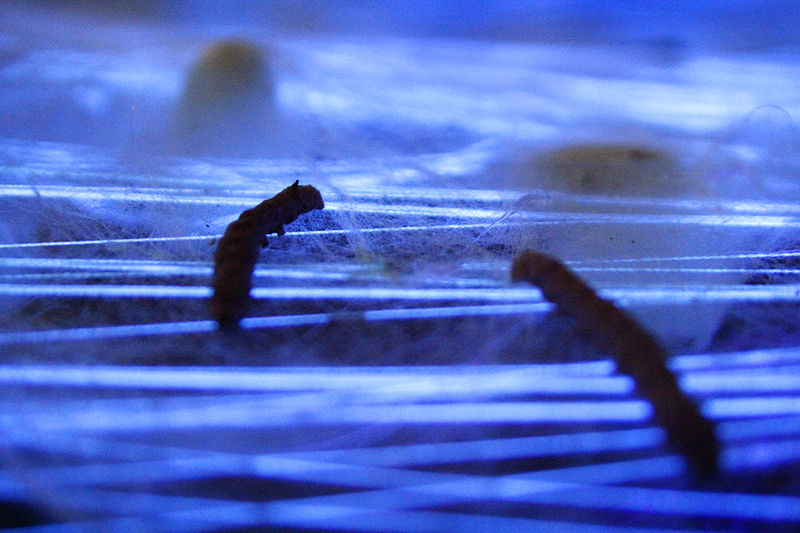 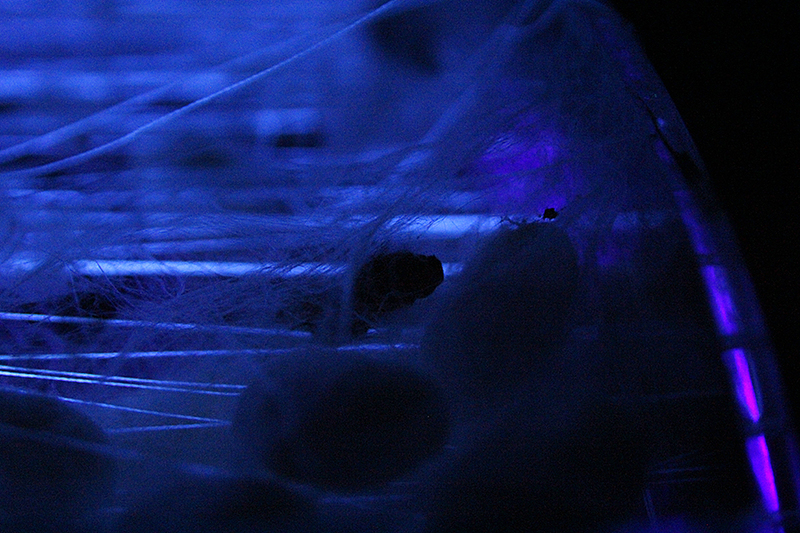 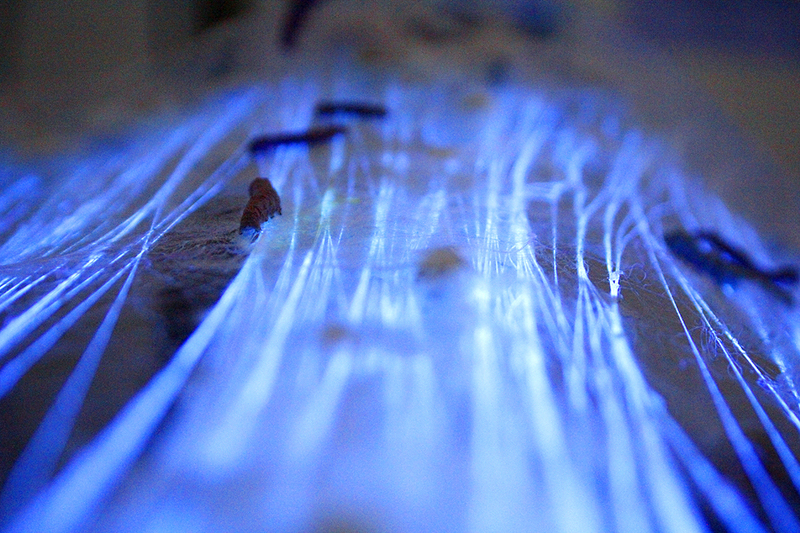 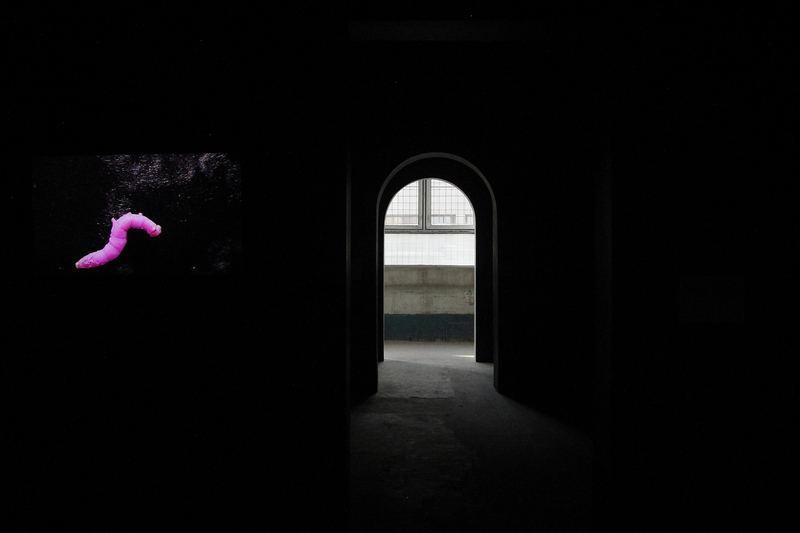 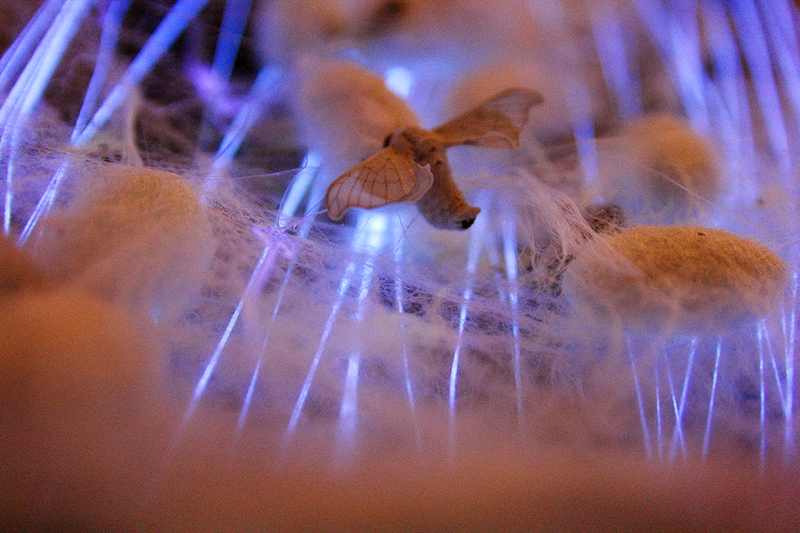 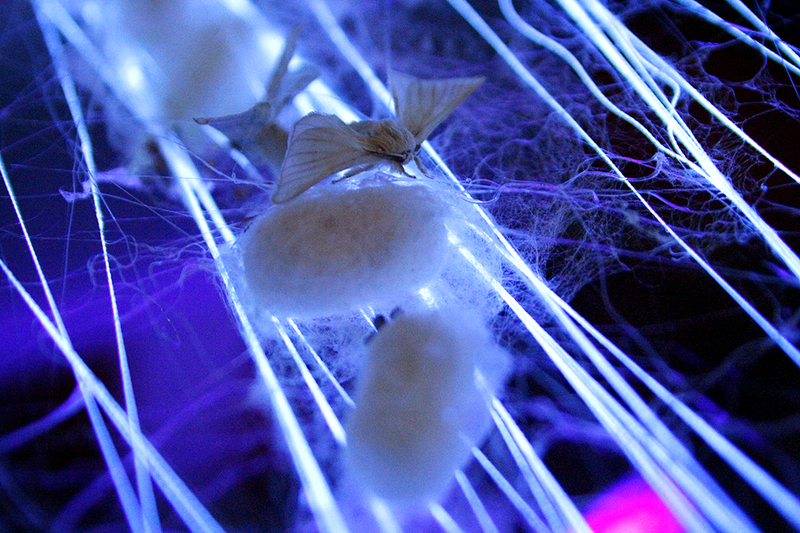 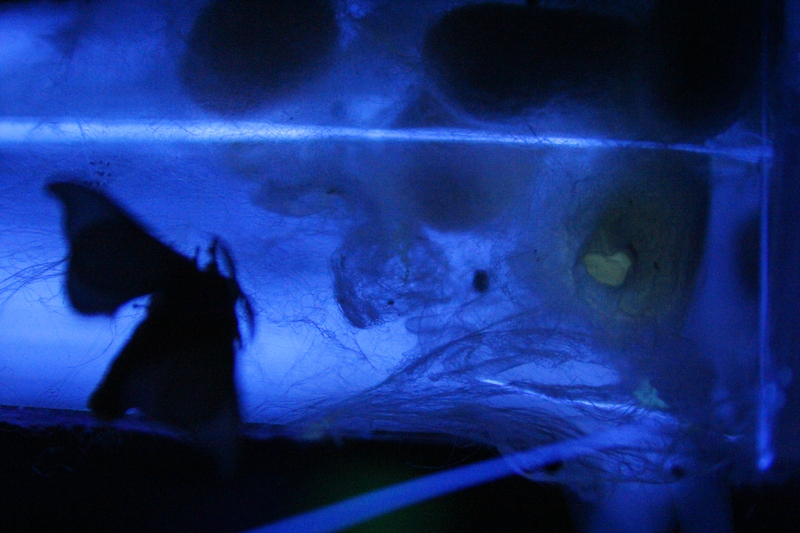 By utilizing computer vision and ultraviolet lights, the movements of a swarm of color-coded silkworms are interpreted into sound and visuals, while a bio-sculpture is built together in a real time semi-autonomous living installation. 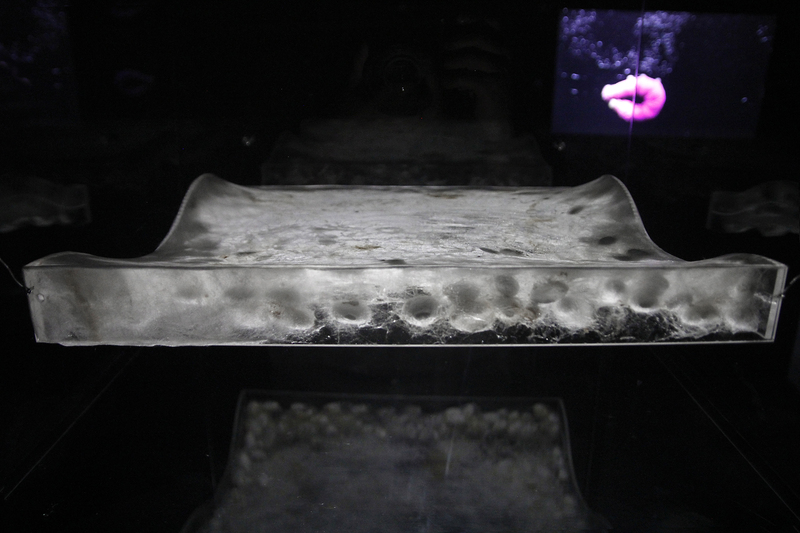 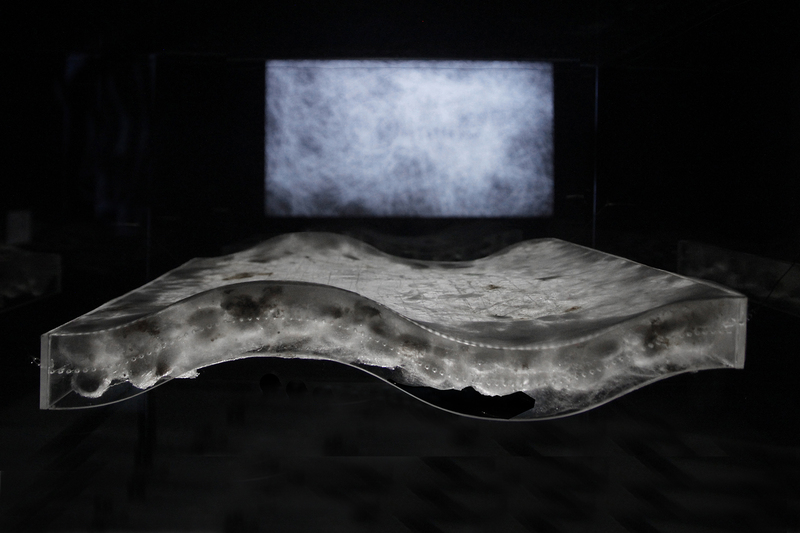 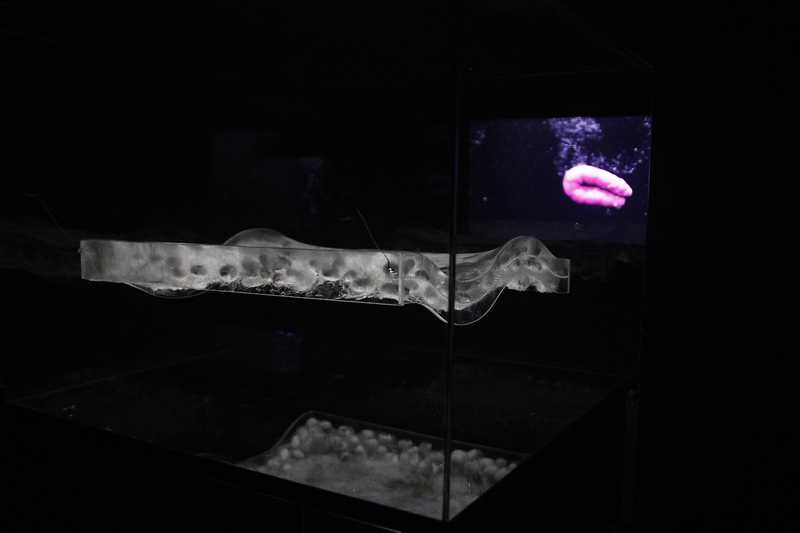 This interspecies project explores biological phenomena in intersection with media, technology and politics. 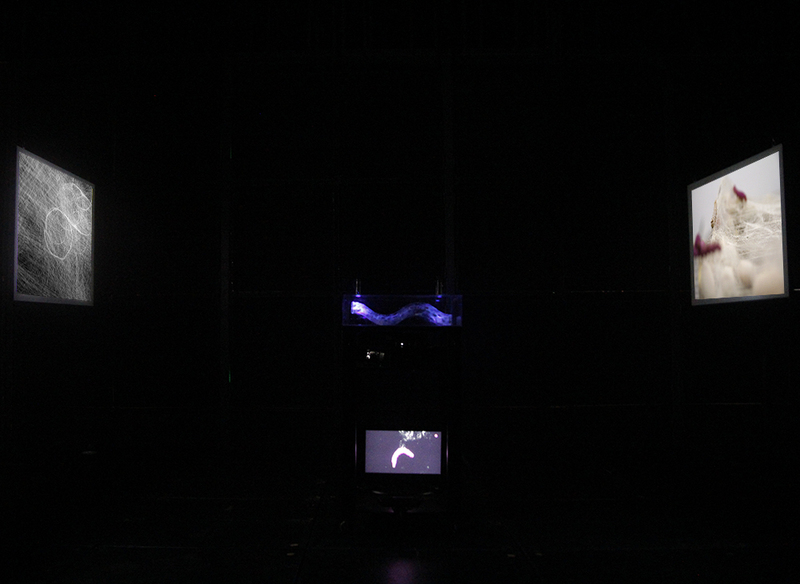 This installation utilizes computer vision algorithms to discriminate different colors through an infrared camera. 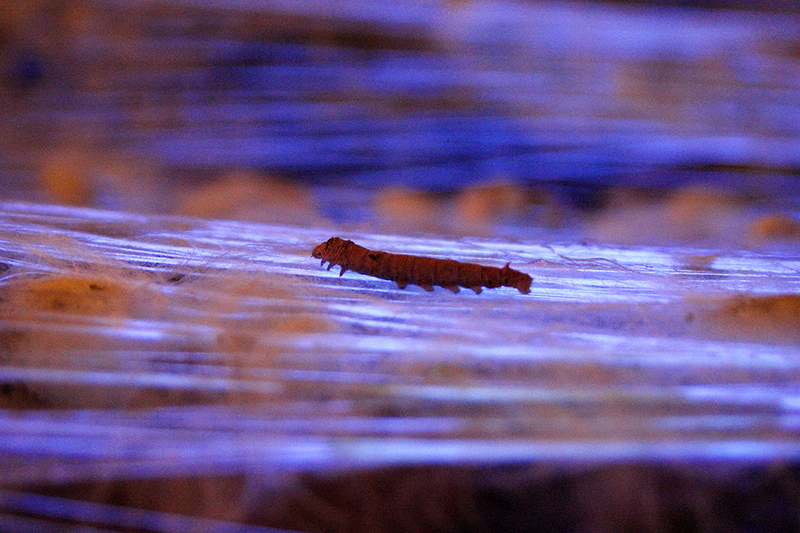 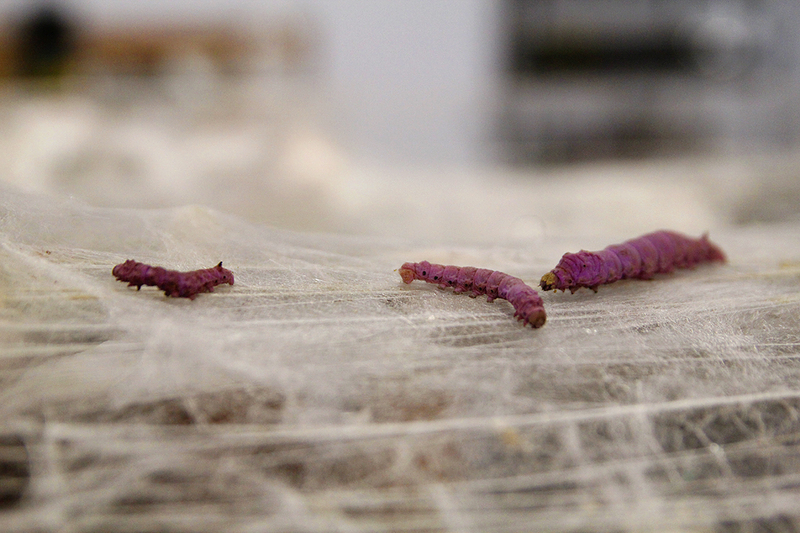 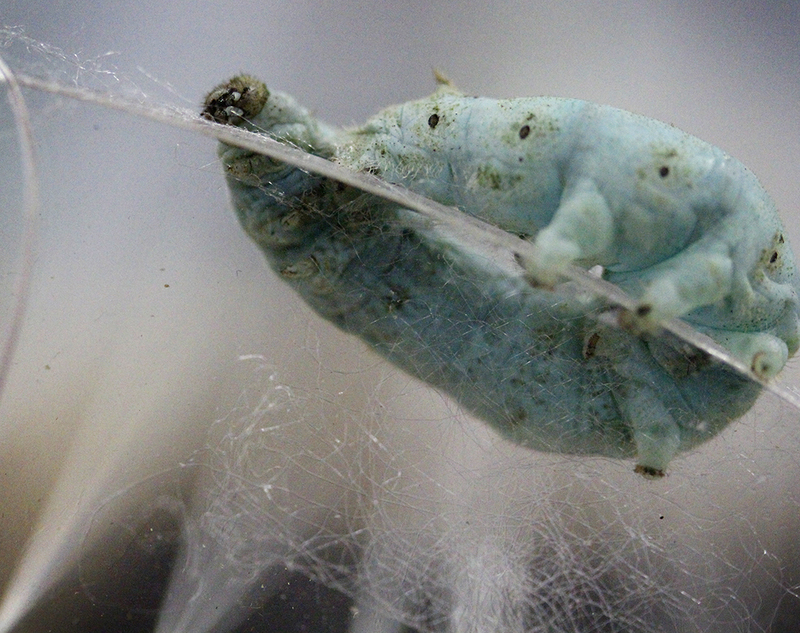 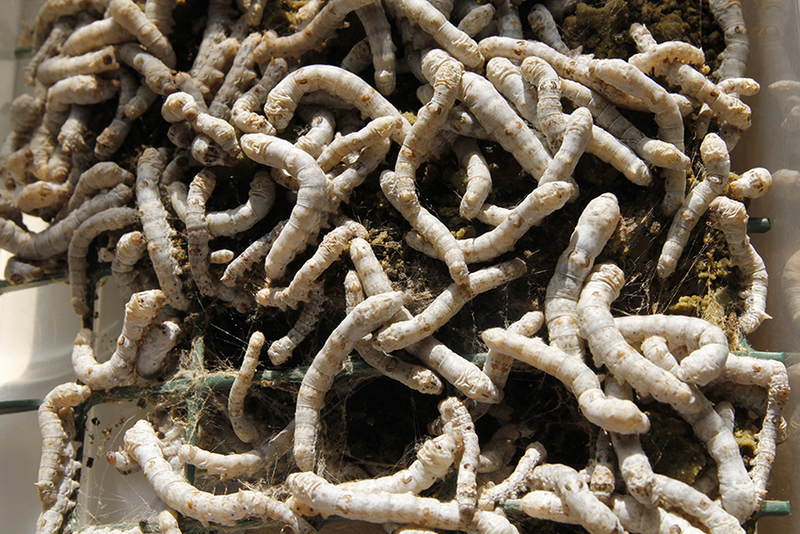 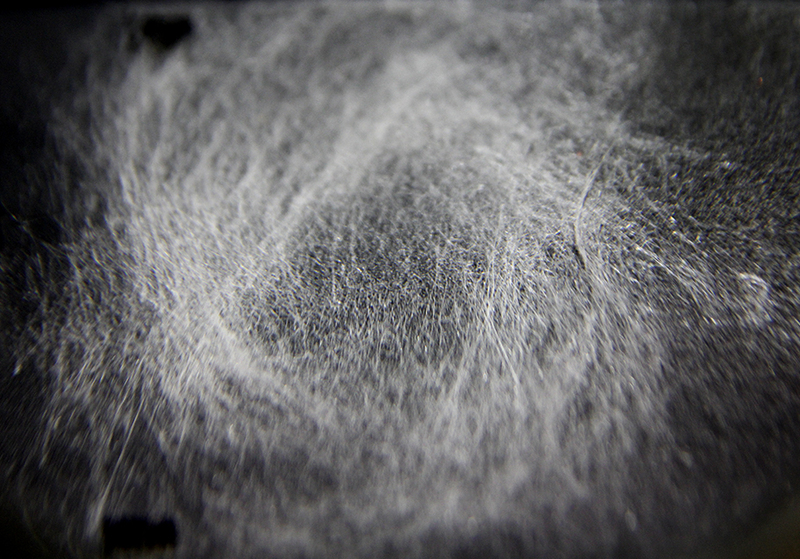 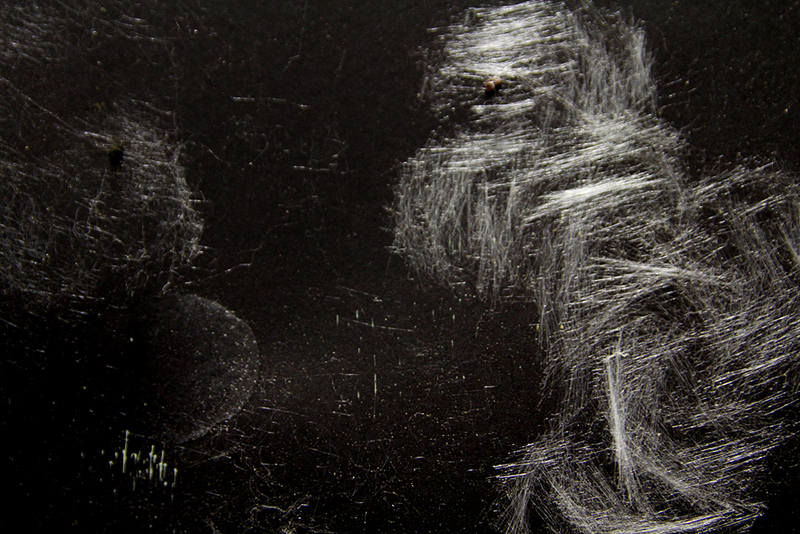 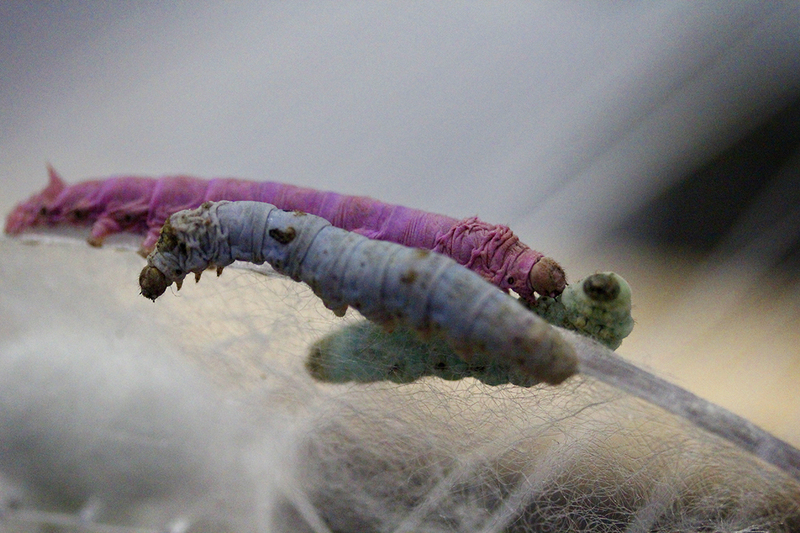 Silkworms have been dyed with a mix of organic pigments acquiring four tones. 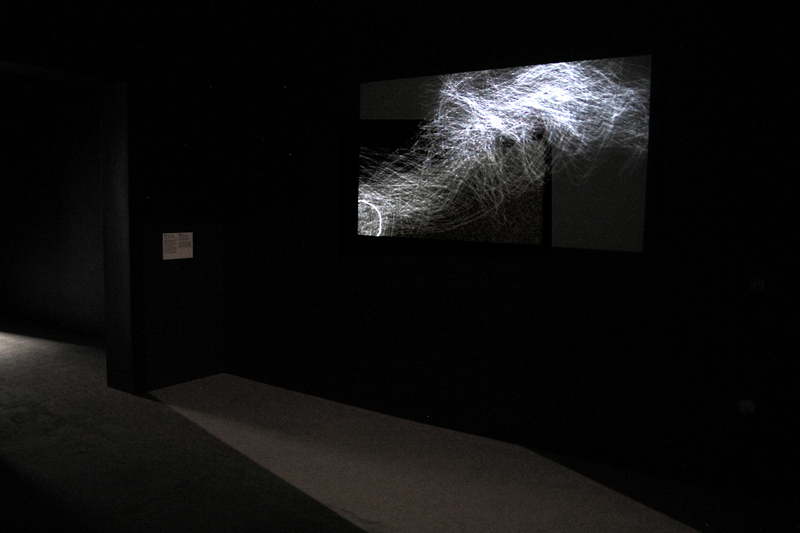 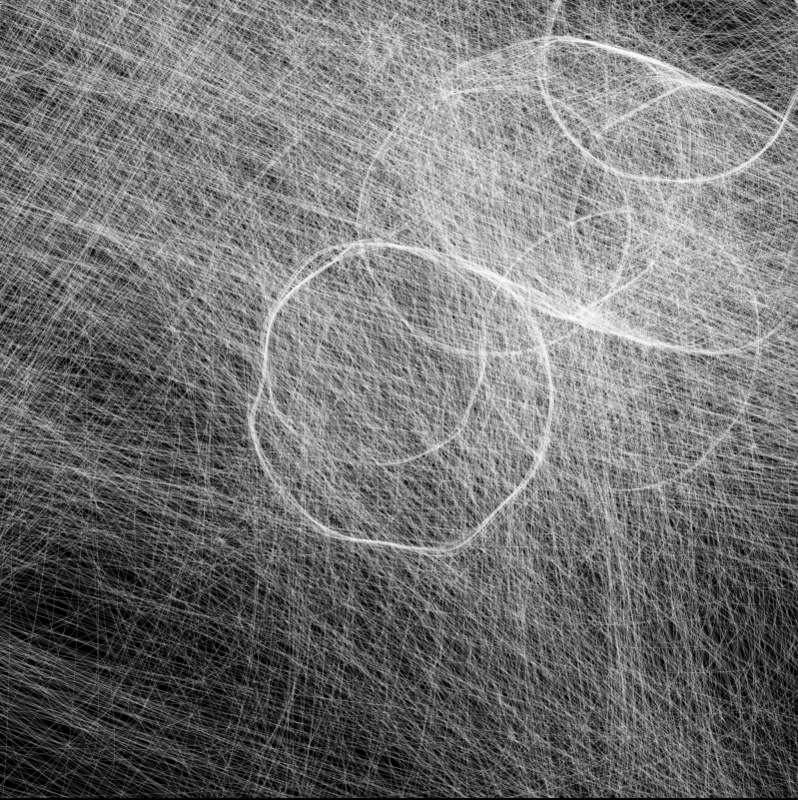 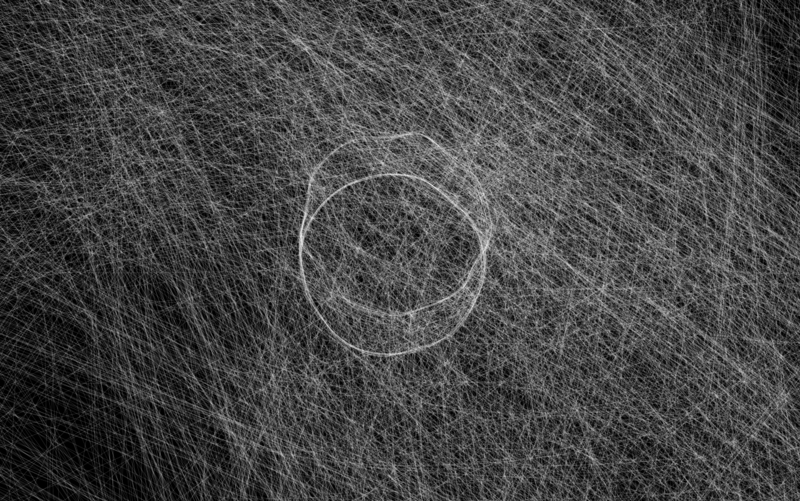 By gathering coordinates from its movements on a plane, the system sends data in real time via OSC messages to a custom visualizer as well as to a sound generator. 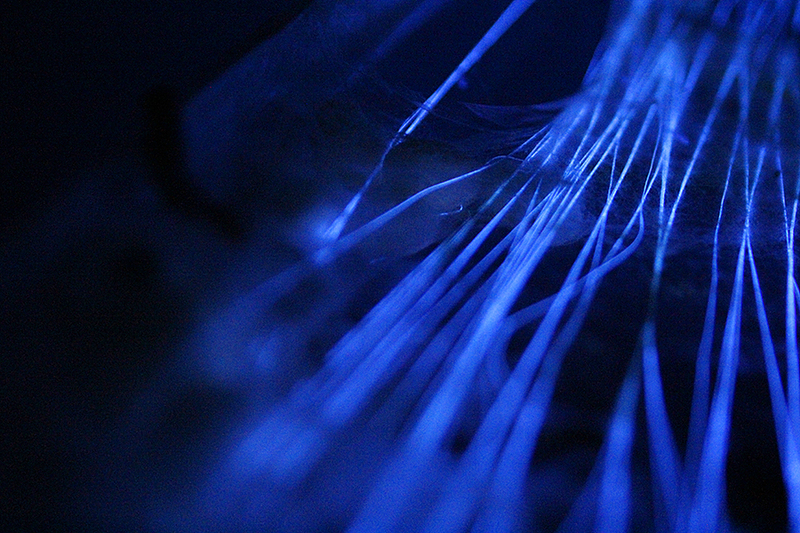 Ultraviolet lights are used to modulate temperature and communication through light sensors. 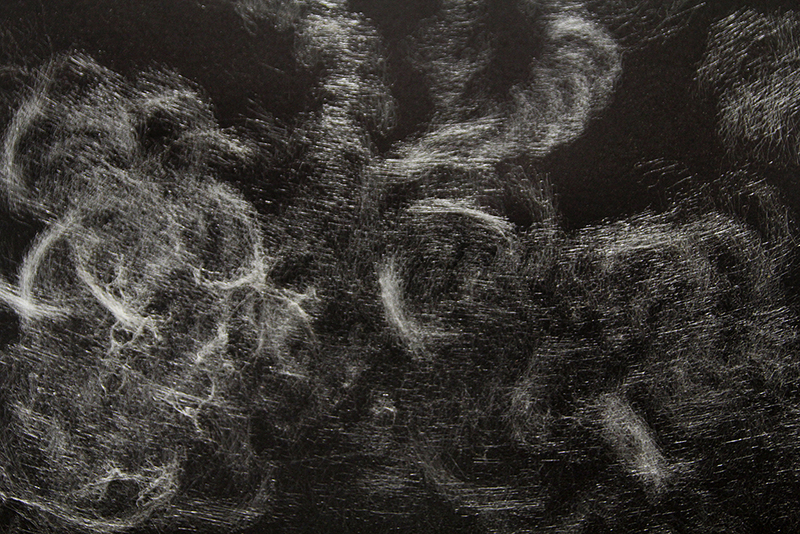 Iizuka, T., Sezutsu, H., Tatematsu, K.-i., Kobayashi, I., Yonemura, N., Uchino, K., Nakajima, K., Kojima, K., Takabayashi, C., Machii, H., Yamada, K., Kurihara, H., Asakura, T., Nakazawa, Y., Miyawaki, A., Karasawa, S., Kobayashi, H., Yamaguchi, J., Kuwabara, N., Nakamura, T., Yoshii, K. and Tamura, T. (2013), Colored Fluorescent Silk Made by Transgenic Silkworms. 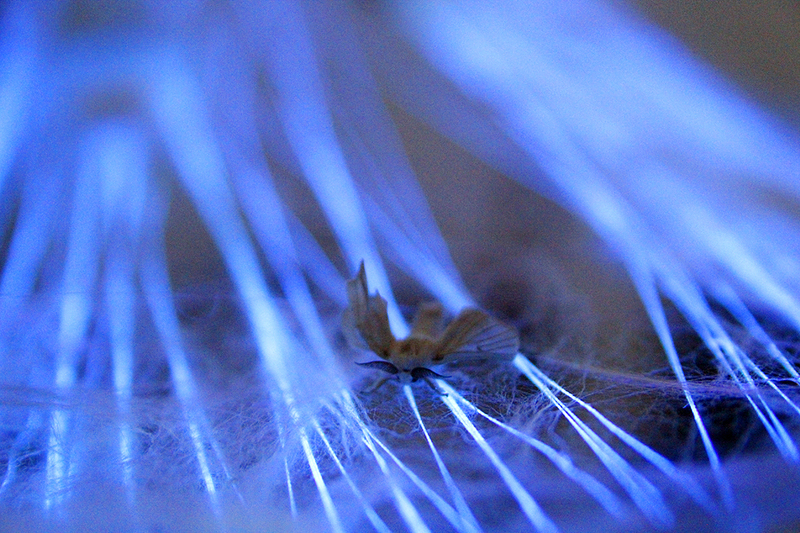 Advanced. 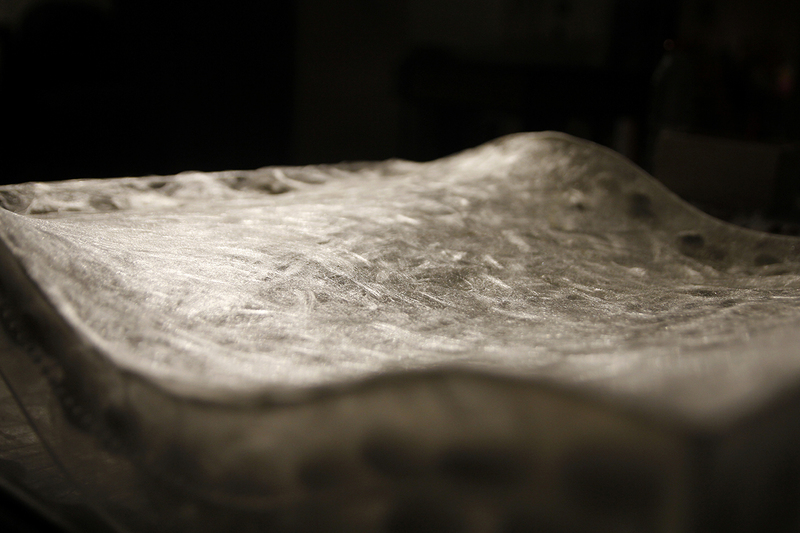 Functional Materials, Volume 23, Issue 42, November 13, 2013, Pages: 5232–5239. 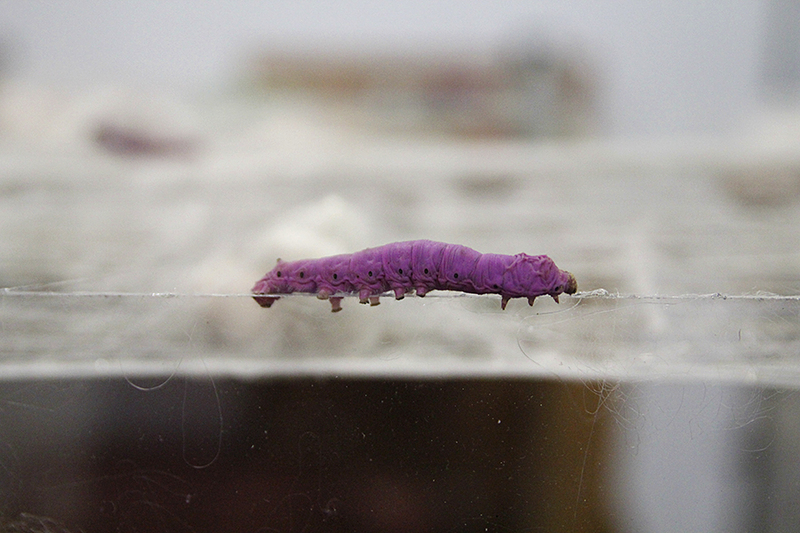 Art, arte, chuck, culture, ecology, Ecuador, generative, human, hybrid, insects, inter, interactive, kinect, Los Angeles, media, post, Processing, reactive, science, sculpture, silkworms, sound, species, system, tracking, visuals.